El Wanda Bryant credits her longevity to her mentor Bonnie Henderson who worked alongside her for 26 years. Photo credit: Carrie Bell. In classrooms all over the country, teachers are working hard to engage their students in the process of government, teaching kids how a bill becomes a law and the importance of understanding how our government works. Only two states have a program in place where students are actually participating in the legislature. 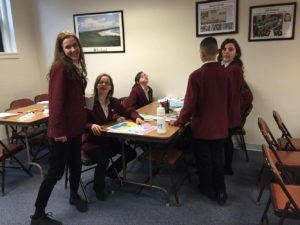 Washington and Virginia both have week-long programs during which students not only learn about their state legislature but are also invited on the floor of the senate and the house to assist legislators in their daily work. 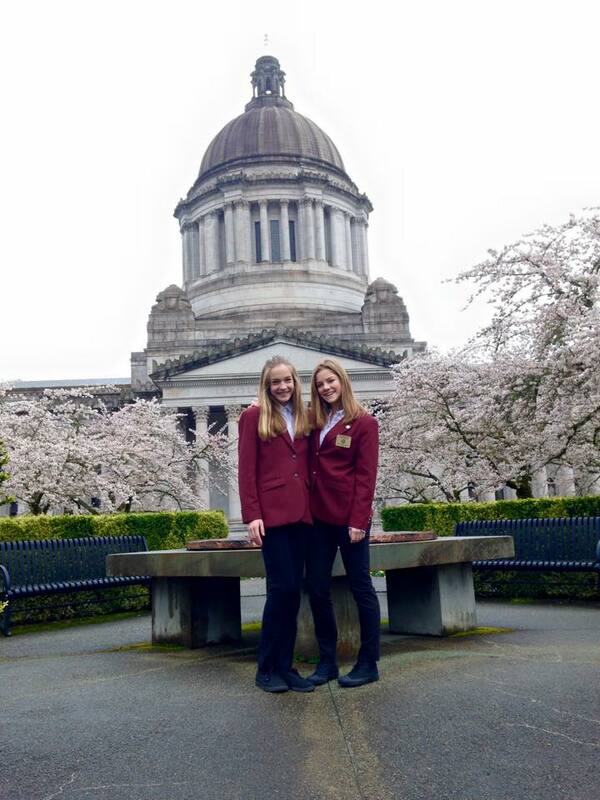 In the State of Washington the week-long experience begins with an orientation to the Capitol building. For the past 28 years thousands of students have walked those marble floors with page supervisor, El Wanda Bryant. 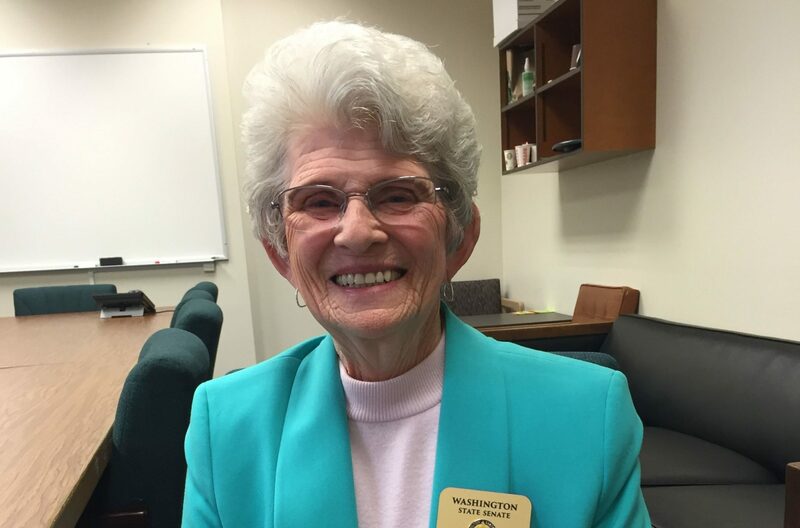 After almost three decades of touching young lives by instilling the belief that they have a place in the process, El Wanda is retiring from her post. 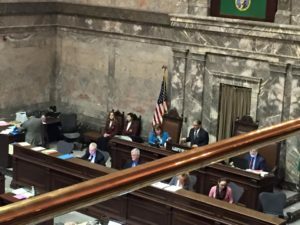 On April 21, 2017, the senate honored her commitment to advancing the civic education of students in the state of Washington by unanimously passing Senate Resolution 8662. El Wanda and her husband, Bill Bryant, raised their five children in Hood Canal. Bill taught and coached at the local high school. El Wanda jokes that her children claim to have been “raised by wolves.” They lived on acreage, and the children were free to roam and explore. 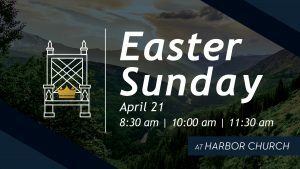 Their days were filled with picking oysters, digging clams and building forts in the miles of woods surrounding their home. In 1971 Bill and El Wanda Bryant moved to Holiday Valley near Olympia. Their own children were off to college, so they filled the empty rooms with exchange students. The Bryants hosted 34 students from all over the world. The family often called the back bedrooms in their home the “United Nations” as the students hosted were from nations far and wide, including Brazil, Ecuador, Japan and Switzerland. Senate pages are given the honor of being seated next to the Rostrum. Photo credit: Carrie Bell. In 1989 El Wanda decided to help with tours of the Washington State Capitol. 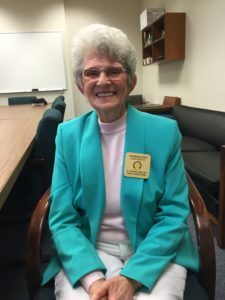 Washington was celebrating its 100th anniversary as a state, and El Wanda was only three weeks into her tour guide position when the senate page supervisor fell ill. They asked for a volunteer among the tour guides for someone to fill-in and work with the students. El Wanda volunteered that day and never left. Her love of the students and respect for the programs have never wavered, and it is only now, as she is celebrating her 80th birthday, that she has decided that it is time for someone else to pass out the coveted red jackets that the senate pages wear proudly. “The page program is such a marvelous way for teens to gain confidence in themselves and their citizenship,” shares El Wanda. “They learn what the process is and how they can be a part of it and really make a difference.” Students come from all over the state to participate in the week-long program. 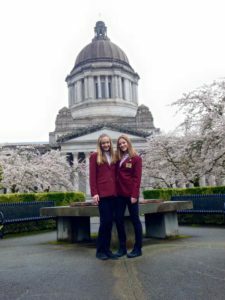 Local students can stay at home, but Olympia residents open their homes to house students from across the state for the week. Senate pages enjoy the beauty of the Capitol Campus. Photo credit: Ethan Gahm. Students are given an entirely new perspective on state government, and they meet people from very different backgrounds than their own, including both rural and urban as well as those living on both sides of the mountains. The students will often stay in touch for months afterwards, and some have developed lifelong friendships. The students take their week-long commitment to the senate very seriously and do a fantastic job. A few have nodded off on the senate floor during a particularly dull debate El Wanda admits. “We are glad to have them for a week but are glad that we don’t have them for two weeks,” says El Wanda. With teenagers working together in close quarters “the beginnings of more than a few romances have become to blossom,” El Wanda explains with a smile. In between working on the floor and page school, students can do homework and play games in the Page Room. Photo credit: Carrie Bell. El Wanda is retiring from the senate page program, but there is no doubt she will remain busy. She is looking forward to more time with her five children and six grandchildren. She has a zest for life and would give most people half her age a run for their money in terms of energy. 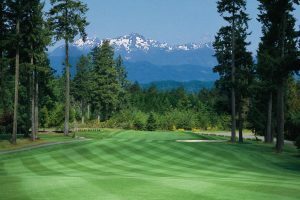 She plans to remain in the Olympia area and work with her husband on their two acres of land. The page program accepts middle school and high school students aged 14-16 years old. For more information on how to apply to the senate page program visit www.leg.wa.gov.